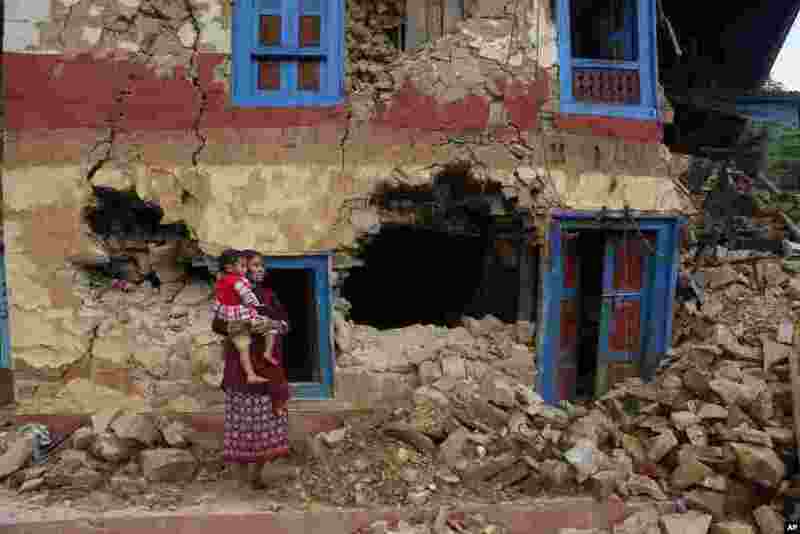 5 A Nepalese woman carries her child outside her house damaged in last month’s earthquake on the outskirts of Lalitpur, Nepal. 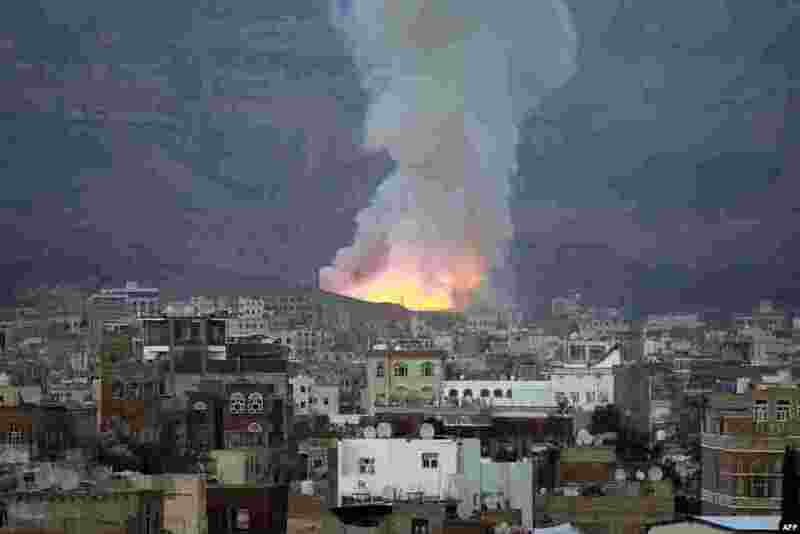 6 Smoke rises following an airstrike by the Saudi-led coalition targeting an arms depot in the Mount Noqum area on the eastern outskirts of Sana'a, Yemen. 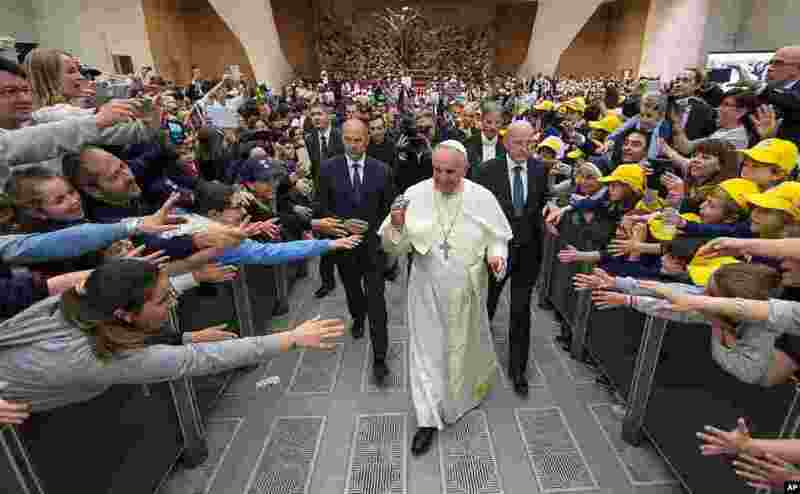 7 Pope Francis arrives for an audience with a group of children in the Paul VI hall at the Vatican. 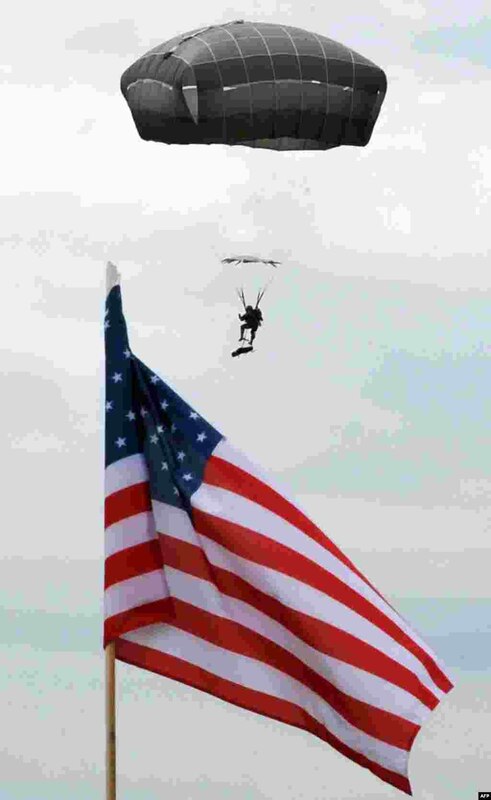 8 A paratrooper of the 173rd Airborne Brigade comes in to land during an official opening ceremony of the joint U.S.-Georgian exercises named Noble Partner 2015 at the Vaziani training ground outside Tbilisi.